Power locks and windows aren’t just a convenience, they’re a safety feature. At Glenn’s Auto Service, we’re always thinking of our client’s safety first, which is why it’s important to us that your power locks and windows are always in working order. Learn more about how power locks work, and ways to tell if they need a repair. Unfortunately, unlike some of the more obvious components of your vehicle, it can be difficult to sense the deterioration of the power locks and windows, until they stop working. At Glenn’s Auto Repair, we make it out business to perform a thorough diagnostic on your power system, listening and watching for signs that it’s on its way out. If there’s a problem with your power windows or locks, you can rest assured that our capable mechanics will have your car in working order in no time. If you notice any of the above signs, or you’re simply having trouble making your door locks and power windows respond at first touch, call and schedule an appointment with a certified mechanic. Whether it’s something as small as a key fob battery change, or something as drastic as the need to rewire, you can rest assured that you’re in good hands. At Glenn’s Auto Repair, we perform each task diligently and by the book, being careful not to void your warranties, and keeping the safety of our clients in mind at all times. For more information on power locks and windows, or to speak to an experienced member of our team regarding any of our auto services, contact us today. 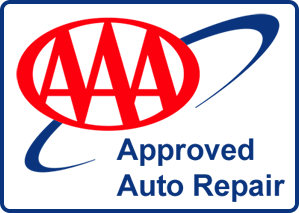 Glenn’s Auto Repair is always happy to hear from new and existing customers, and can schedule an appointment with a certified mechanic at your convenience. Your safety and comfort is our number one concern; don’t wait to report a faulty part, visit Glenn’s and drive home in the vehicle you deserve.